There is a fantastic piece of research about venture capital funding and the different questions that are posed to female-led companies versus male-led companies. They asked men about the opportunities for gain and women about the opportunity for loss. It is a promotion versus prevention concept. Great content is all about relevance. Delivering content that is useful for candidates is at the forefront of your Recruitment Marketing efforts. But what if the content you’re sharing with your talent network isn’t relevant enough? I was recently asked by a marketing firm to provide them some content around what companies should look for when choosing which recruitment agency to partner with. I’m a college basketball fan, so the NCAA Championship this week was fun to watch. Maybe not the first 5 minutes when no one could hit the broad side of a barn–but the overall tournament and the championship game did not disappoint. Take Virginia and Texas Tech–two defensive-minded teams who made it to the championship game for the first time. Two teams slammed for their slow play, lack of marquee talent, and getting “hot” in the tournament. 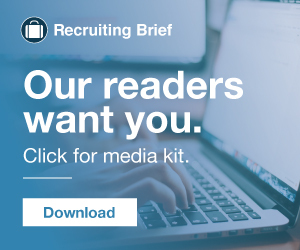 Recruiting Brief brings together the best content for recruiting professionals from the widest variety of industry thought leaders. Google has just introduced two new search operators – before: and after: Here is what @searchliaison tells us: The before: & after: commands return documents before & after a date. You must provide year-month-day dates or only a year. You can combine both. Unexpected talent sources: recruiting on Slack, Instagram, and Facebook (with Brian Fink) Topics within the webinar: How to recruit on SlackHow to recruit on FacebookHow to recruit on InstagramClick here to skip the text and view the recording at the bottom. Usually, when individual contributors get promoted to management, they teach their direct reports their secrets for success, use many of the same skills they did in their previous jobs, and get a salary bump. Recruiting is no longer a waiting game. Thanks to a healthy job market and an increasingly limited talented pool, recruiters are now racing to find, engage, and secure candidates. You&apos;ve probably heard the term "employee voice" a lot lately. 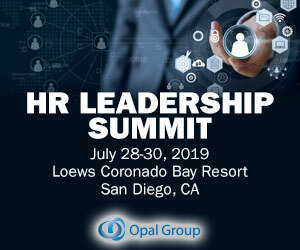 The employee engagement landscape is shifting, and strategic HR pros are looking for more agile tools that allow them to tap into the value of their most important asset: their people. That&apos;s a worthwhile goal. Recruitment fidelity is a thing — so much so that recruiters have been known to drop their rates and extend their guarantee periods just to be in monogamous relationships with their clients. There is something to be said for exclusivity. Unless you’re Apple or Google, chances are, when a job seeker clicks on your open job on Monster or Indeed, it’s the first time they’re interacting with your company brand. And the saying “you only get one chance to make a first impression” rings true for your job descriptions, too. As technology continues to blur the lines between home and the office, employees are looking to their employers for help striking a work-life balance. Understanding this as an employer is integral to creating a positive and productive work environment for workers. BountyJobs Bites. Recruiting Timelines Differ for Job Hunters and Recruiters. The Numbers: 45% of those looking for a job found that less than a week was the shortest amount of time they’ve experienced between submitting an application and accepting a job. If you’re into employer branding, you’re in for a treat. Below is my interview with Andrew Levy. Andrew and I first met in 2012 at a TMP Worldwide/Intuit vendor day. Jason Webster of Ongig/Glassdoor/Greenhouse fame was there too. For federal contractors, keeping up with OFCCP regulations can be a major challenge when recruiting and hiring. Download our guide to OFCCP compliance and learn the major regulations that you must adhere to. In two previous posts, we talked about the pros and cons of hiring boomerang employees, or those who leave an organization and later return. Source: iQoncept / Shutterstock. The way we work today is a lot different from the way people worked just a decade ago. Following a record-year of job growth in 2018, employees now have the tools to research and evaluate employers, and feel empowered to make moves if they don't like what they find. Get the latest trends in compensation, and find out how your organization stacks up.